I had a day to adjust to the jet lag, and to make some last minute slide show adjustments, before conducting my workshop at Koninklijke Academie van Beeldende Kunsten. 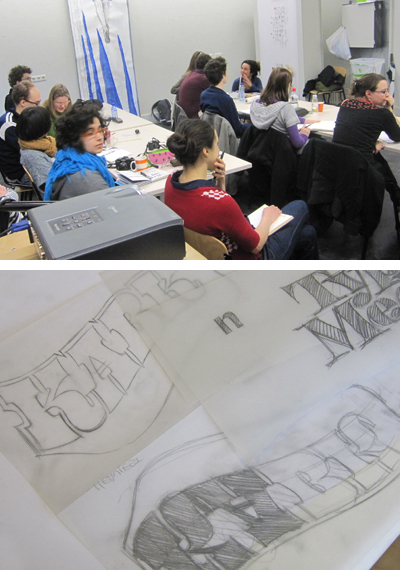 The morning session began with an introduction to my lettering work at House followed by a drawing demo. More pics to follow.